How to improve your presentations and be a more effective speaker. I think you’ll agree that public speaking and knowing how to present a presentation effectively are essential career skills. The great news is that developing your skills to become a better speaker requires two things that anyone, including you, can acquire. Knowledge and practice. Who is going to be attending? What do you want them to get out of the presentation? What do they want to get out of the presentation? What do they already know about the subject? What mood are they going to be in (receptive? hostile?)? What will be their energy level (are you presenting right after lunch?)? Are you speaking in their native language? Will they understand jargon? If you’re trying to persuade them, what is their starting opinion? Answer these questions before you sit down to start writing your presentation. Why are you speaking? What do you want to achieve? Do you want to persuade? Inform? Entertain? Motivate? What do you want as a specific outcome from the presentation? Is that realistically achievable with a single presentation? Is a presentation or speech the right format to achieve that aim? Would a written report be better, combined with a summary overview that you present? Structure the presentation so that it is logical for your audience. Try to put yourself in their shoes, with their level of knowledge and understanding. Keep it simple. Unlike written material where complex detail can be re-read several times until it is understood, an audience doesn’t have that opportunity when you present. It’s clichéd advice, but still worth repeating: “Tell them what you’re going to tell them, tell them, then tell them what you told them.”. More eloquently put: “Introduce, Expand, Summarise”. First impressions count, so don’t waste your first moments in front of the audience when you present. Think of your opening like a headline – it’s purpose is to gain attention. Match your energy level with your audience: If you’re too lethargic you’ll lose their attention right away, and it you’re too animated and enthusiastic you might alienate them. Memorise and practise your opening line so that you can say it almost without thinking. This will give you confidence when you begin your speech and create a positive impression with your audience. If you’re presenting a sleep seminar, then a slow monotone voice with no variation in pace, tone, or rhythm will be perfect. For all other purposes try to liven things up a bit! This is especially important if you’re reading from prepared notes – we’re all a bit more animated when we speak spontaneously. Experiment in everyday conversation with some vocal techniques to gain practice. For a day, experiment with pauses. Another day try experimenting with tone, going deeper to make an important point for instance, or higher to convey excitement. Then another day try experimenting with pace. You’ll build your awareness and comfort, enabling you to apply these vocal variety techniques more deliberately when you speak in front of an audience. Be aware of things that you do unconsciously when you are nervous. Some people fiddle with jewellery, other run their hands through their hair, shift their weight from foot to foot, pace around, cross their arms or back away from the audience. Don’t do these things! Try to be more deliberate in your movements when you’re in front of an audience – you’re not only speaking with your voice, but your body as well. What is it that you’re saying? Hardly anyone ever complains that a speech or presentation was too short. We all share the pain of the ones that are too long though! Be aware of the time that you have allocated, and how the audience is reacting. Set your audience’s expectations of how long you will speak for with a logical structure in your presentation. 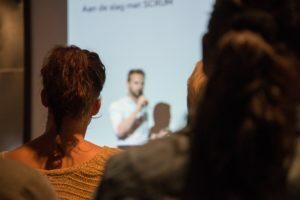 Avoid false endings – the speaker who says ‘and finally’ then continues on for 15 minutes may be lucky to leave the room in one piece (although with a more passive audience they may be able to sneak out once the audience is fully asleep). Manage your time effectively when you are preparing for your presentation. Many people are tempted to put all their time into creating ‘the perfect PowerPoint’ deck and then fail to spend any time at all practising. If you spend 1/3 of your available time writing your presentation, and 2/3 practising it out loud you’ll notice a dramatic difference. Together with your opening, this is what your audience will remember in the days after your presentation. Recalling the purpose of your presentation, spell it out to them with a call to action. Many people fail to consider how they will handle questions, and this can derail a presentation in progress, or unravel an excellent presentation after it’s finished. A Q&A session may be your audience’s lasting memory of you. When you prepare your presentation, consider the questions that your audience might have and try to cover them so that they don’t get asked. Structuring your presentation logically will also reduce the need for people to interrupt you. If you don’t want to be interrupted, say right at the start that you’ll take questions at the end – tell your audience that you want to respect them by keeping to time.